This Teacher's Book includes teaching notes, answer key and background information corresponding to the 24 units of the course. 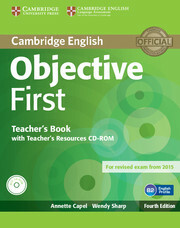 The Teacher's Resources CD-ROM includes 12 progress tests (one test for every two units), a B1 phrasal verb list taken from English Vocabulary Profile and unit-by-unit wordlists with and without definitions. 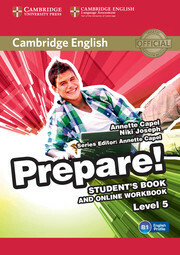 Complete Cambridge English: First practice tests are available online.